Trekking 154. 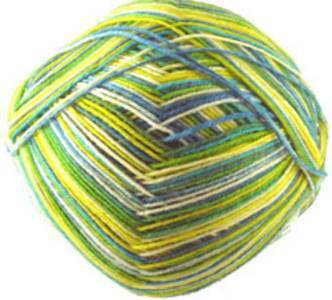 4 ply self-patterning sock knitting yarn. 75% organic wool, 25% nylon. 100g ball, 420m. 1 ball makes a pair of adult socks.